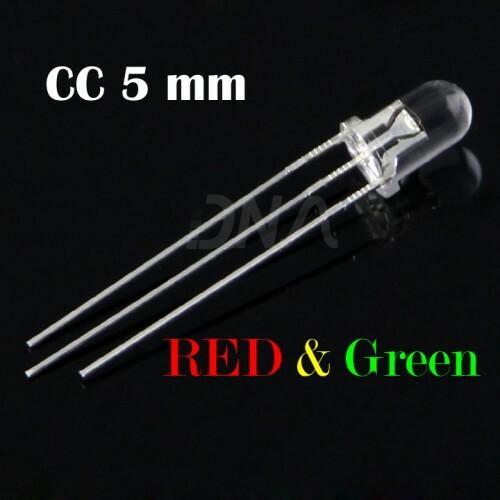 This is a transparent Common Cathode (CC) Dual Color Red Green LED. This Transparent Dual color LED comes in a standard 5 mm package. 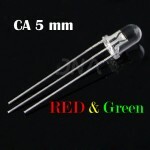 These LED's have 3 pins, one for each color (red and green) and one for the common Cathode. 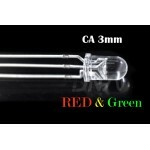 Common Anode RED Green 3mm LEDThis is a transparent Common Anode (CA) Dual Color Red Green LED. 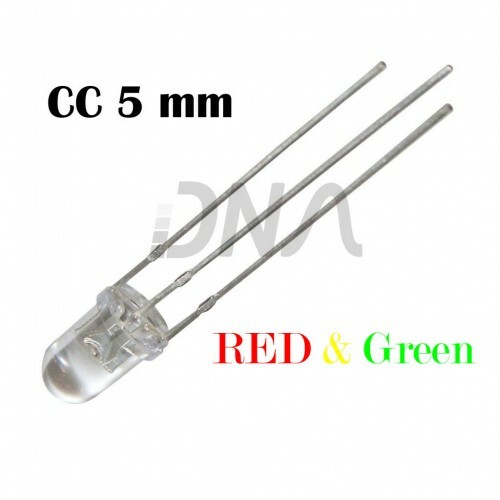 This..
Common Anode RED Green 5mm LEDThis is a transparent Common Anode (CA) Dual Color Red Green LED. 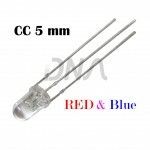 This..
Common Cathode RED BLUE 5mm LEDThis is a transparent Common Cathode (CC) Dual Color Red Blue LED. Th..